The wildly popular TP9 Series just got EVEN better. The Canik TP9SA has been a huge hit with our customers, and for very good reason! It delivers superior ergonomics, astonishing reliability, and a level of accuracy that is frankly WAY beyond its price range. Well, we're happy to tell you that the TP9SF offers even MORE refinements to the wildly popular TP9 Series. The SF comes with industry-standard dovetail sight cuts that are compatible with a large variety of aftermarket sights…a nice advantage over the SA. The SF also features a re-worked angular slide profile that should help to clear up the sight picture, and the decocker has been removed. Same look, same great performance -- along with a few quality-of-life upgrades, and it's STILL oh-so affordable. 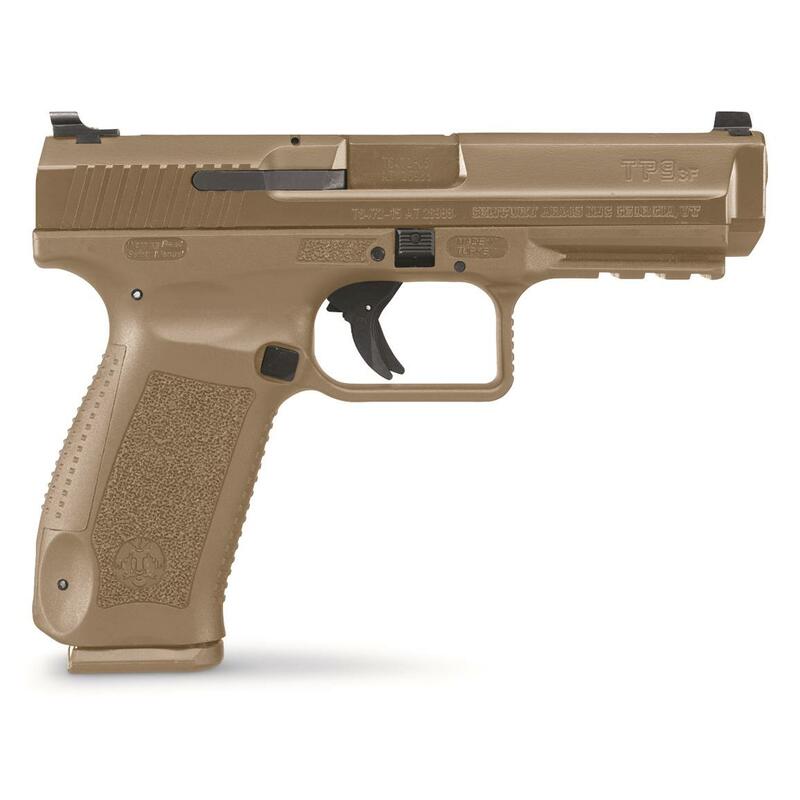 Century Arms Canik TP9SF, Semi-Automatic, 9mm, 4.46 Barrel, Desert Tan, 10+1 Rounds is rated 5.0 out of 5 by 1. Beretta Px4 Storm Type F, Semi-automatic, 9mm, 4"
Glock 41 Gen 4, Semi-Automatic, .45 ACP, 5.31"
If you loved the original... you'll love the Generation 4.